Description: This is a simple guide that will allow you to easily root your Verizon Galaxy S4 device without having to wipe your device or flash a full prerooted factory image. This method works using a root exploit (originally created by user hiikezoe, then ported for ease of use by DooMLoRD) and modifications of this exploit to work on the Verizon Galaxy S4 device (provided by user PWM978). Only change is I have modified the root method to use the latest SuperSU binaries and repackaged with simpler instructions. Please note: Credit for this method goes entirely to the users who have created these tools and provided the files. I am only bringing together all these files and creating a simple guide for everyone to follow. Great to see some progress! 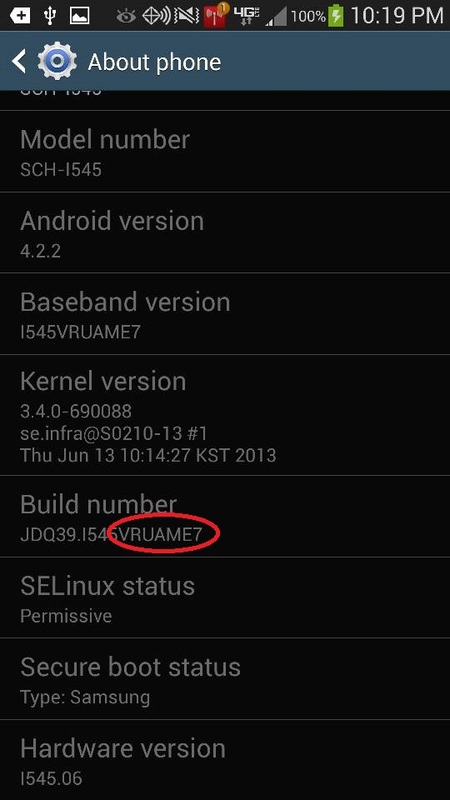 What good is root without unlocked bootloader? Either you're just a troll...or have a very limited imagination. What app(s) would I need to install to block OTAs? Just to be clear, you won't be able to install CWM yet, as the BootLoader is still locked? You can install xposed installer. Some nottach stuff works and was able to get the wifi hotshot toggle and brightness toggle set up, infinity scroll. And my beloved root apps. You can still change a lot with just root. This is just amazing. thank you....thank you so much. Picking up a mini sd card tomorrow. Onward to recovery. Thanks guys for all the hard work. My 32Gb micro SD can't be formated to exfat. I have windows 7 Pro. If I format the card to fat32 will it still root my phone even tho I will see errors?